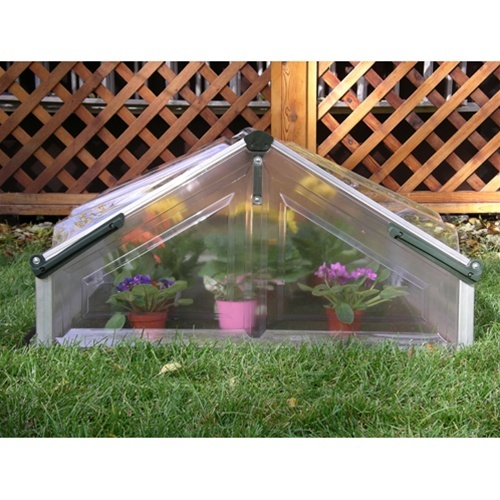 Coldframe Greenhouse Double | HG3300 | Free Shipping! 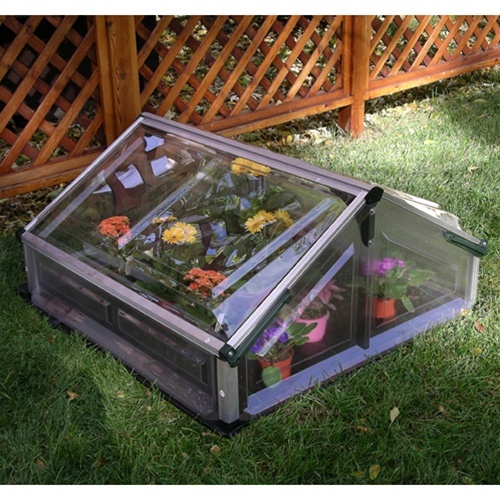 Price is for coldframe only; plants shown in photos are not included. 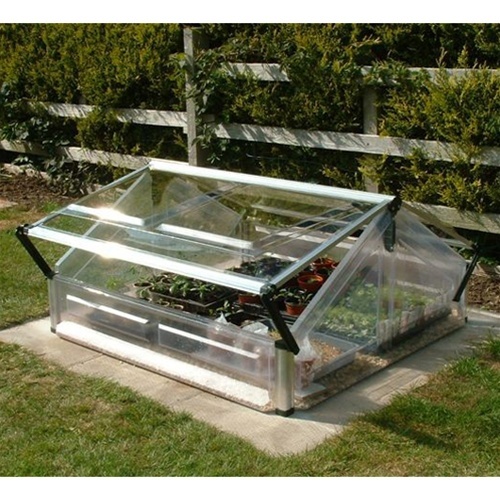 This double coldframe is exactly what you need if you want to start planting outdoors before the last frost date in your area. 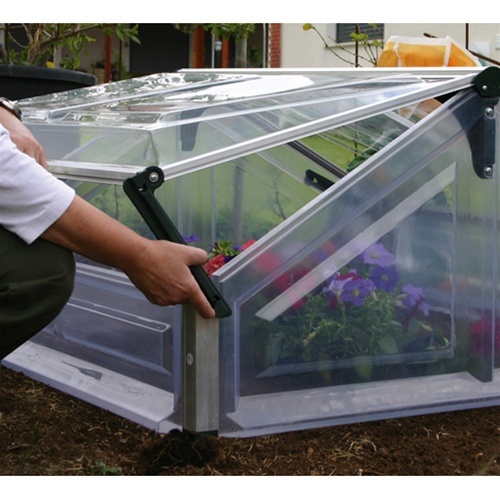 A coldframe acts like a mini greenhouse, insulating and protecting young plants from cool temperatures and winds early in the spring. 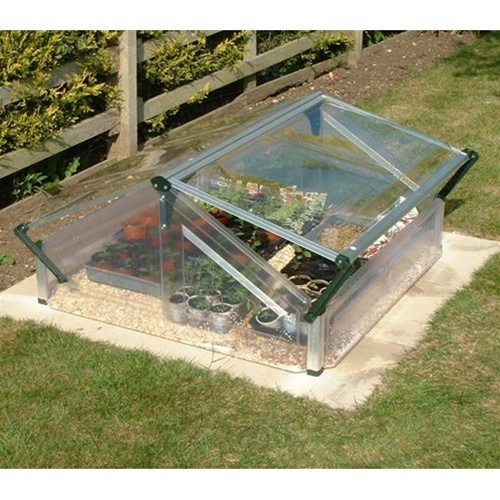 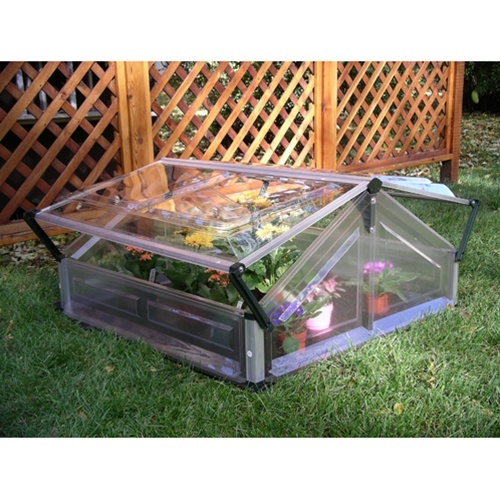 This double coldframe is constructed of clear polycarbonate panels that are virtually indestructible! The frame is made of corrosion-resistant aluminum and rigid polypropylene that will hold up for years of use in your garden. 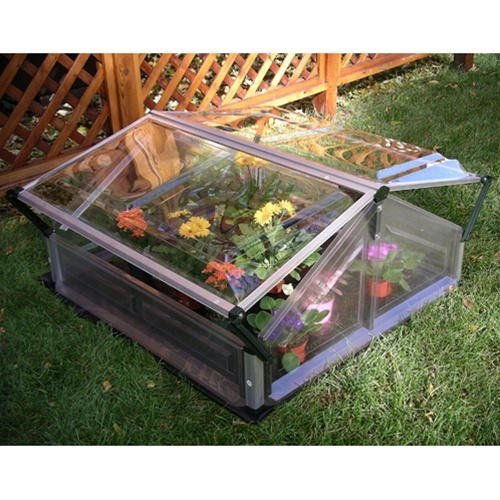 Two hinged top panels allow for plenty of ventilation on warm, sunny days. 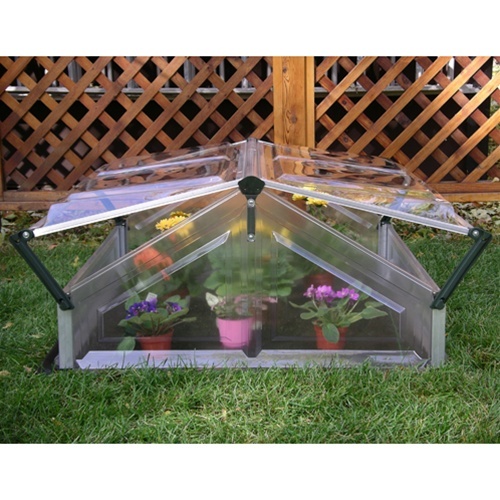 Features over 9 square feet of interior planting space! 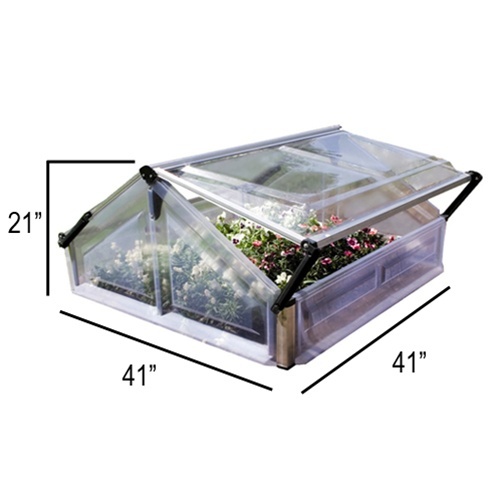 Ships in one compact carton: 43" x 23" x 4", 16 lbs.